A space to savour material qualities. 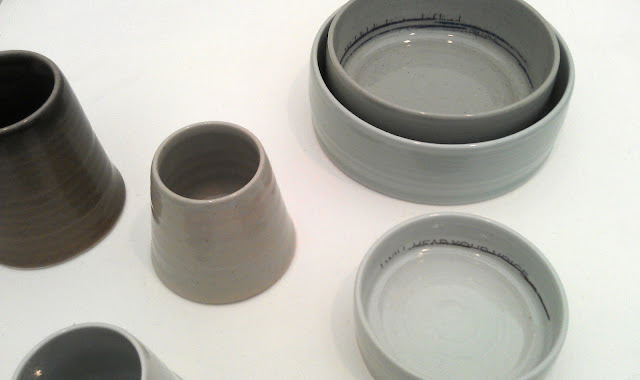 As interesting as ever, the Great Northern Contemporary Craft fair provided lots of material enjoyment. 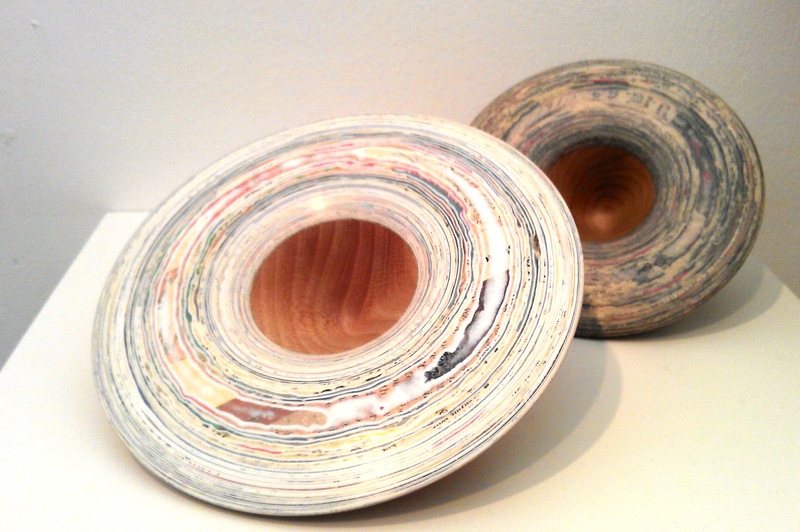 The contemporary woodturner Kylie Coles was showing unique decorative pieces using layers of recycled magazine pages and died veneers combined with wood. 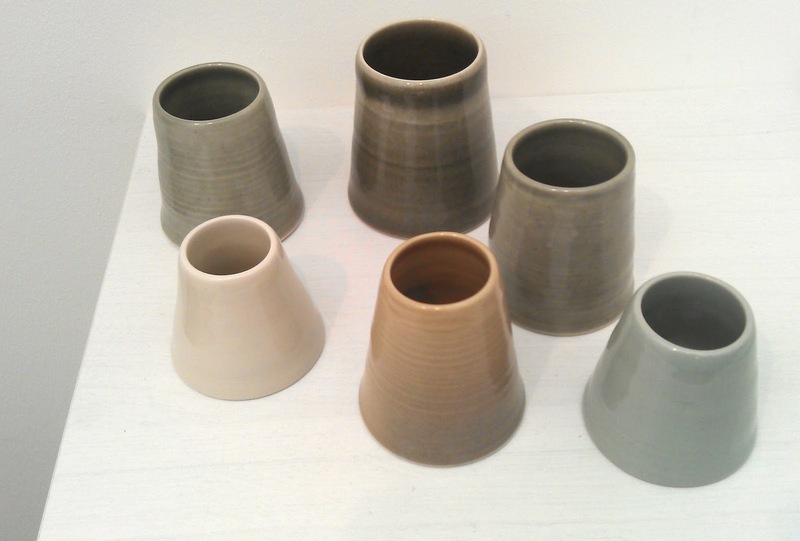 The conical forms had a very contemplative mood and beautiful colouration. "As a craftsperson I reveal the qualities of my chosen materials through the woodturning process, paying close attention to the fine balance between artistic control and serendipity". 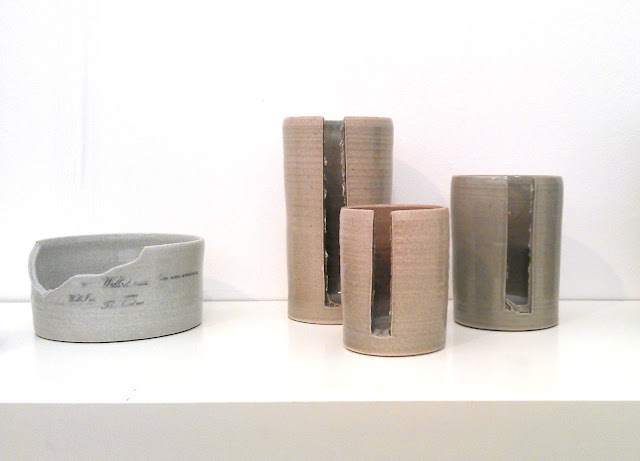 Naomi Robinson's ceramics were pure pleasure, hugely sophisticated in terms of colour and form. I loved the rawness of the removed sections and the discreet use of text. 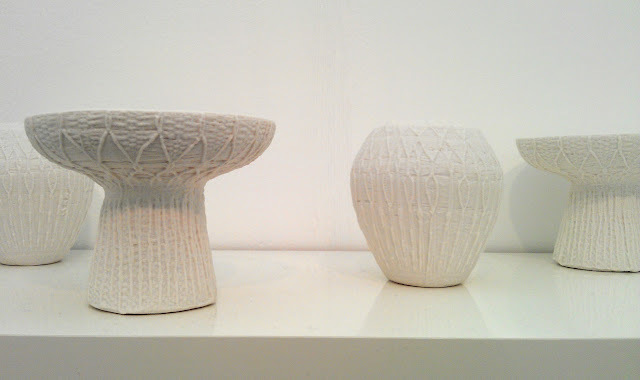 Anna Pullan uses the Dorset Button weaving technique to create textured porcelain forms. She covers found items with a decorative woven structure which can take up to 30 hours of intricate knotting to complete. The form in the photo started life as a 1970s candlestick. 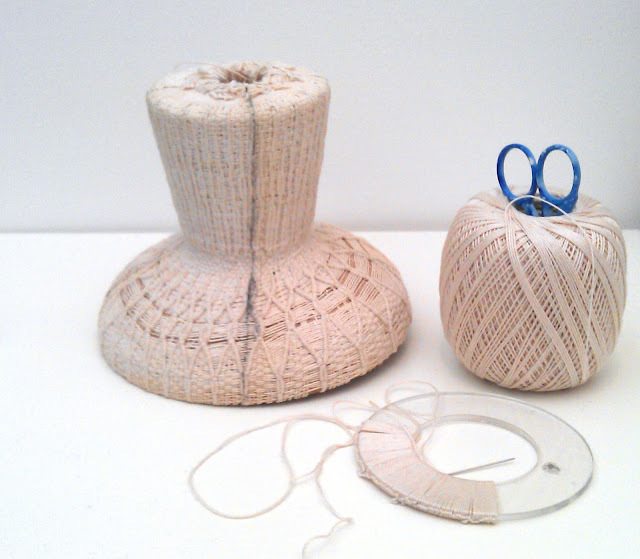 Having completed the textile stage, she then takes a mould with which to create porcelain forms. She enjoys the unexpected shifting of threads that cause irregularities in the patterning and which are evident in the final porcelain pieces. A very different combination of ceramic and textile processes to my Ceramic Patchwork, but another example of a traditional process adapted to make contemporary statements. Loved them! 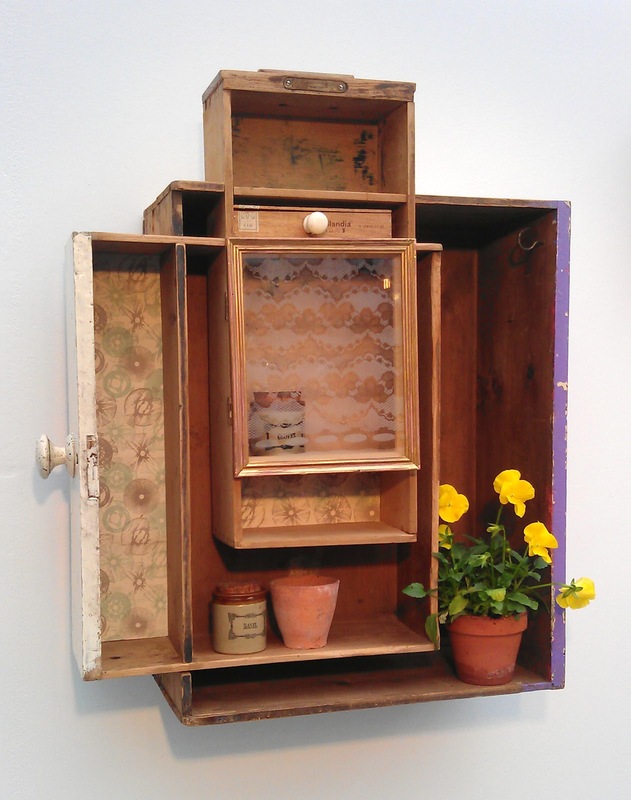 Finally, this playful reusing of chest-of-draws draws caught my eye and made me smile. Kay Rudge's work focuses on the transformation of forgotten furniture into bespoke unique pieces. Her playful approach is beautifully captured in her blog! This is a space where I can share the environments, objects, surfaces, and cultures that inspire me and tell the stories that surround the materials I use to make my ceramic patchwork pieces. ZoeHillyard. Simple theme. Powered by Blogger.